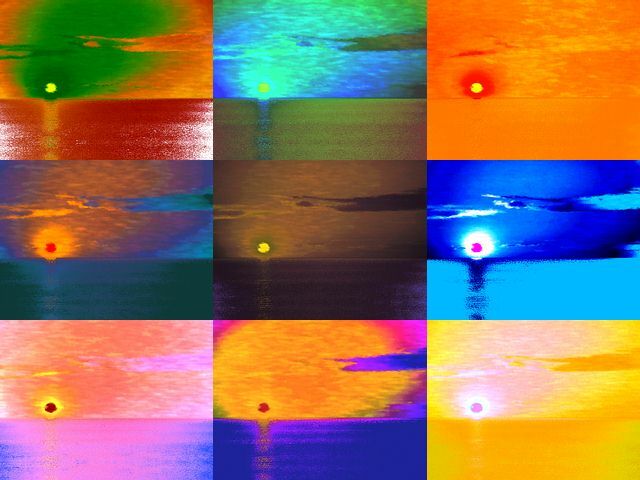 Art Revolution 9 Sea Sunset Screensaver Now! All moving objects are rendered in real time. Enormous amount of parameters can be adjusted on your preferences. This screensaver works as animated desktop wallpaper under extra application, included in package. No spyware, no adware. Uninstaller included. ordinary program named "Vital Desktop" by Oleksandr Fedorenko. "Setup Animated Desktop Wallpaper by". Click on the "Vital desktop" tab and check "Enable"
with "Art Revolution 9 Sea Sunset" Vital plugin. "Configure Sea Sunset" link, do changes and push "Apply" button. NOTE:'s extra don't support by VMGames! This screensaver is written for Windows, it uses DirectX 7.0.
for it, but feel free to send beta reports and suggestions.